DUBAI, 11th October 2016 (WAM) – Crown Prince of Dubai and General Supervisor of ‘Dubai the Capital of Islamic Economy’ plan H.H. Sheikh Hamdan bin Mohammed bin Rashid Al Maktoum, today attended the opening of the third edition of Global Islamic Economy Summit (GIES 2016) in Dubai, and honoured winners of the fourth edition of Islamic Economy Award. The inauguration of the summit was also attended by Deputy Ruler of Dubai H.H. Sheikh Maktoum bin Mohammed bin Rashid al Maktoum, Chairman of Dubai Civil Aviation Authority and Chairman of Emirates Group H.H. Sheikh Ahmed bin Saeed Al Maktoum, and H. H. Sheikh Mansour bin Mohammed bin Rashid Al Maktoum, along with a number of dignitaries. The third edition is jointly organised by Dubai Chamber of Commerce and Industry and Dubai Islamic Economy Development Centre, with Thomson Reuters as strategic partner, under the theme “Inspiring Change”. “The development of Islamic banking requires the continuous development of Islamic products. Shariah boards have the responsibility to protect the rights of all shareholders based on the rights and laws of Shariah. Globalisation has made risk management very important. 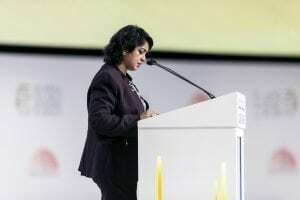 It is necessary to devise a Shariah-compliant risk management solution, while in tandem, formulate a strategy for risk management and understand the role of derivatives and risk sharing,” she said. “The ability of the Islamic Economy to maintain stable growth even in non-Muslim countries is a clear indication that we have the means and solutions to solve many issues related to development in the Islamic World, and to send a clear message to the world that the true objective of Islam is the happiness of people and its priority is the welfare of societies,” he said. “Three years ago, His Highness Sheikh Mohammed bin Rashid Al Maktoum launched his strategic vision for the Islamic Economy, where he set a time frame of three years to achieve it, which includes sustainable development and continuous prosperity. 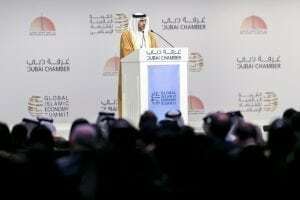 The ?Dubai the Capital of Islamic Economy’ initiative was launched with a firm belief in the importance of the Islamic Economy in the global economy, and its potential as a development tool that has not been utilised fully,” Al Gergawi said. “In less than three years, the strategy has brought results. Dubai has become the international hub for Sukuk listings and the volume of Sukuk issued in Dubai increased to AED135 billion in 2015 from AED26 billion,” Al Gergawi said. “Today, we are happy to announce the launch of other initiatives that aim to support the realisation of the vision of His Highness Sheikh Mohammed to globalise the Islamic Economy including “International Waqfs Organisation”, that will form a global umbrella to manage endowments and regulate endowments investments under the framework of unified modern legislation and standards,” he said. “We are fortunate to have the support of HH Sheikh Hamdan bin Mohammed bin Rashid Al Maktoum in our effort to build the Islamic economy, which has put Dubai on the map and added a key sector to the emirate’s diversified economy,” he added. Chairman of the Dubai Chamber of Commerce and Industry and Board Member of the Dubai Islamic Economy Development Centre Majid Saif Al Ghurair said: “The progress that Dubai has achieved so far in its quest to become a global capital for the Islamic economy has not only attracted funds to the sector, but has also led to the creation of new services and high-quality products. The development of the Islamic economy will play an important role in ensuring the prosperity of people across the Muslim world. 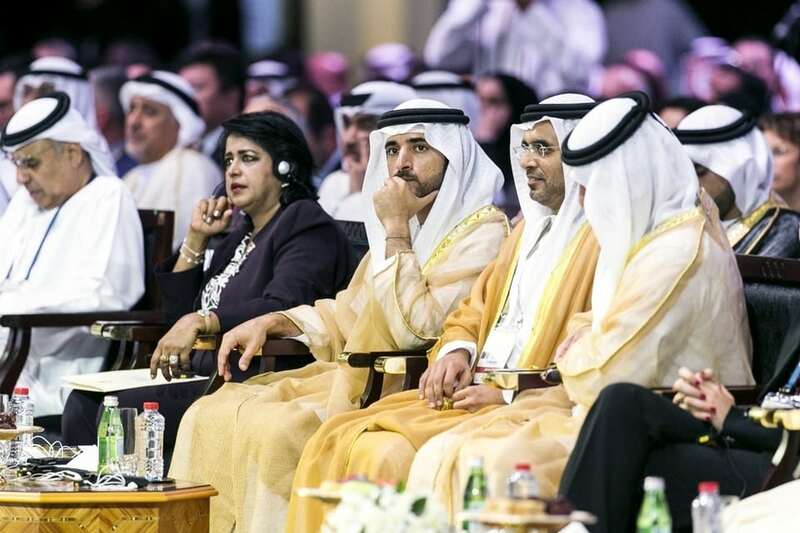 Following the opening ceremony, H. H. Sheikh Hamdan bin Mohammed proceeded to honour the organisations that were named the winners of the 4th Islamic Economy Award. In the Islamic finance category, the UAE’s Fajr Capital took home the gold for its efforts to connect financial assets to the real economy. The organisation currently employs more than 15,000 employees in 11 countries. The lifetime achievement award went to Sheikh Sulaiman bin Abdulaziz Al Rajhi for his role in founding a number of Islamic charitable organizations, in addition to establishing Al-Rajhi Banking amp; Investment Corporation, one of the largest Islamic banks in the world. The award was received by Sheikh Salman’s son Dr. Mohammed bin Sulaiman Al Rajhi.